Dragon Ball Z Kai continues to crunch the original Dragon Ball Z down to a quicker pace, this “season” takes DBZ episodes 104 to 156 and converts them to 25 episodes. The set awkwardly begins with the very end of the Frieza arc, as Frieza himself has just been sliced in half by his own attack. Given the box art of this set, it’s not a spoiler if I say by the end of the second episode Frieza is considered well and truly dead and Goku is off on another planet training, leading into a period of peace. A short lived period in Kai mind you, as the very next episode a mostly mechanical Frieza and his father arrive on Earth, ready to wipe out its population as a treat for the soon to return Goku. They are stopped by a new character that slices up Frieza’s men with his sword and then turns into a Super Saiyan. Like the two previous sets, the episodes here are in their original 4:3 picture format, with mostly cleaned up Z footage and the odd newly animated scenes, mostly returning voice actors on both language tracks, and Shunsuke Kikuchi’s Dragon Ball Z score playing in the background. “Dragon Soul” by Takayoshi Tanimoto is still the intro for all of episodes, though the latter half of the intro is newly animated to reflect the change in arc from episode 55 onwards. Likewise, the first two episodes still have ‘Yeah! Break! Care! Beak!’ by Tanimoto Takayoshi, but from 55 onwards it’s “Wings of the Heart” by Team Dragon (a sub group of the girl idol group AKB48, apparently). Once again the intros and endings are done in English for the English dub, which is still a weird idea, but I guess it helps with selling the show to English language TV broadcasters. 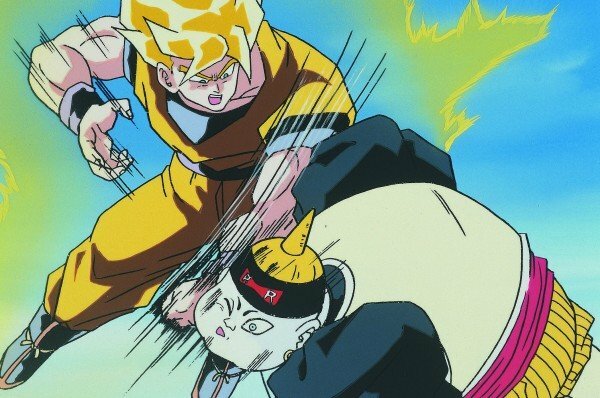 So, should you buy Dragon Ball Z Kai Season 3? 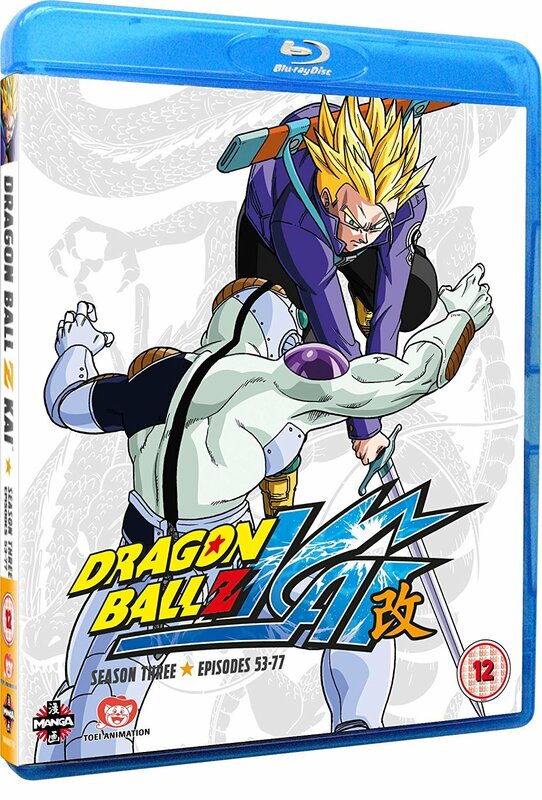 If you enjoyed Season 2 and want to see how the Frieza arc ends, then you should have already pre-ordered! If not, it has to be said that despite how confusing the story gets here, there are some brilliantly animated fights, with Vegeta fighting Android 19 and Piccolo’s fights with Cell and Android 17 being some of the better fights in the whole series. Also as an aside, Vegeta has some undeniably “cool” lines through out the set (including the one in the opening of the review!) , showing why even people who don’t want to be predictable in liking an anti-hero can’t help but admit them as being smirk-inducing fun.